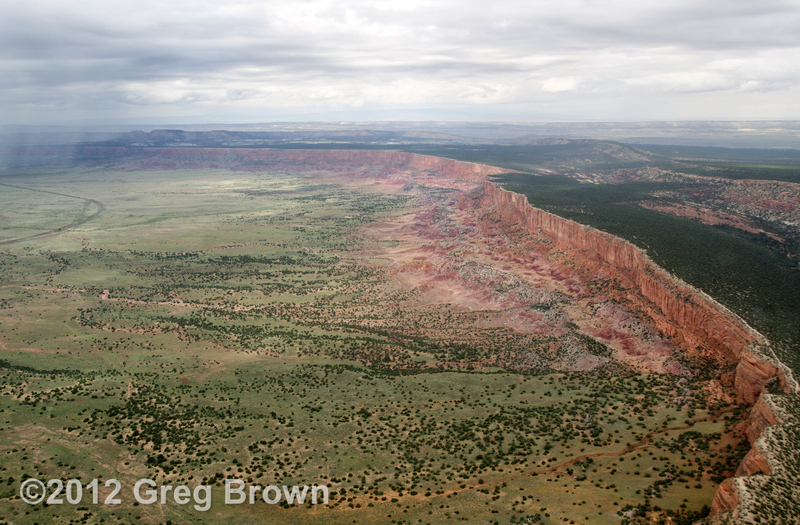 In this month’s View from the “Flying Carpet,” summer rain showers saturate towering Red Cliffs near Gallup, New Mexico. “Red Cliffs near Gallup,” debuts in Limited Edition 27″x40″ and 24″x36″ prints, and Open Editions of 16″x24″ and 10″x14″. Print prices start at $175. See detailed pricing and ordering information. PS: See Greg’s upcoming exhibit starting September 21st at the Sharlot Hall Museum in Prescott, Arizona. Selected prints remain on display at the Flagstaff Woodlands Hotel (formerly Radisson) until August 25th.